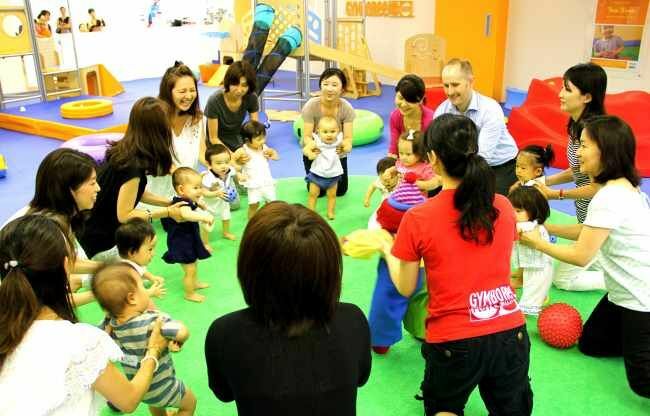 At Gymboree your world will be filled with laughter, music, and the personal reward of knowing that you are helping a parent and child build a happy and healthy world together. Our teachers lead dynamic and interactive play-based preschool, after school and "mommy and me" classes that build children’s cognitive, social and physical skills. 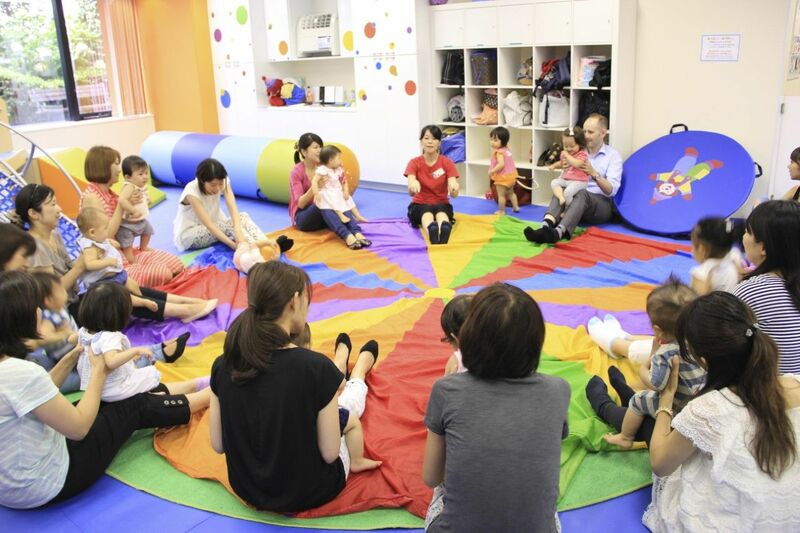 Designed by child development experts, our programming focuses on and supports the specific developmental milestones children are working on at their age. In addition to leading classes, teachers will be required to lead birthday parties and events. We provide excellent paid training, support, and motivation to help you grow and succeed. 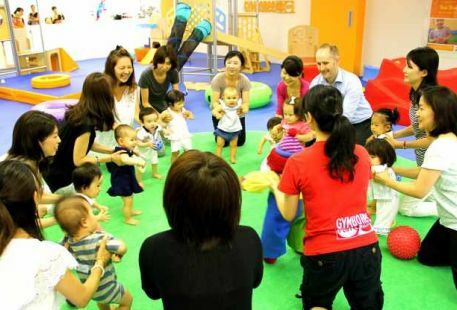 Employees are thoroughly trained in the Gymboree Method of Teaching, operation of our facilities, and child development. This training requires a commitment to learn and grow, and is a long-term proposition. The official training period may last up to 2 months and ends as soon as you can teach your first class on your own. 9:00-6:00pm. With one hour lunch break. In addition to preparing for and teaching classes, teachers will be asked to help keep the site clean and follow-up with customers. * Teachers who would like more hours will have the opportunity to come in extra days to cover for other teachers on a monthly basis. 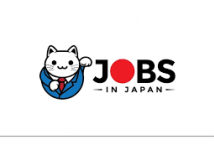 Jobsinjapan.com was started in June of 1998 by American James Gibbs, who had been living and working in Japan in intermittently since 1985. The initial idea to create a “guidebook” to living and working in Japan and James had compiled a lengthy list of 300-400 schools that had been hiring and found himself constantly making photo copies to give to newly arriving foreigners who were looking for work. Additionally hours would be spent in coffee shops, restaurants and over the phone explaining the ropes to new arrivals on what they needed to do for all sorts of things from finding a place to live, finding a job, getting a visa, socializing, local customs, etc. In 1998, the 567-page Guide to Jobs in Japan was published receiving wide praise and scores of direct personal testimony from people saying the book was instrumental in finding their job in Japan and changing their lives. James also took to the internet in 1998 creating www.jobsinjapan.com and moving all the information to the web. The job listings expanded and within a couple of years there were as many as 500 job listings on the site. Jobsinjapan.com was unique among major sources of job listings in that it was an entirely free service to use for employers and job seekers surviving only on paid banner advertising and then value-added listing for employers that wanted more exposure. With job seekers and employers demanding more functionality, we compiled their advice and relaunched the site as you see it today. Always free for the job seeker and reasonable……may we say “cheap”…..rates for our employers with some free services still available. Now almost 20 years later, we are still focusing on our initial mission of helping foreigners find Jobs in Japan.